We’ve advised you a couple of times that many airlines would be switching terminals at Los Angeles International this spring, and now those moving days are almost here: The big move starts this Friday night (May 12, 2017) and will continue the nights of May 14 and May 16. The relocations are all a result of Delta’s big plans to shift its LAX operations from Terminals 5 and 6 to Terminals 2 and 3, displacing a lot of other airlines. Check terminal and gate information prior to arriving at LAX. 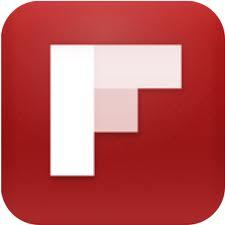 Delta customers should use the Fly Delta app or delta.com and reconfirm gate information upon arrival at the airport. Arrive early. Delta recommends arriving three hours prior to domestic departures and four hours prior to international departures. The Delta Sky Club located in Terminal 5 will remain open through the end of scheduled operations on May 16. The Delta Sky Club location in Terminal 2 will open on May 13, and the location in Terminal 3 will open on May 17. The Delta One “movie star” check-in facility located at Terminal 5 will remain open through the end of scheduled operations on May 16. After May 16, Delta will temporarily offer dedicated check-in space in Terminal 2 while a long-term Delta One experience is finalized. Delta tells TravelSkills that it’s going to smooth frequent flyer feathers ruffled by the move with free massages, meditation pods, cucumber water, pressed juices, Kind bars and lavender scented mists. LAWA will also have dogs at the airport to provide stress relief and comfort to passengers through their Pets Unstressing Passengers program. A few moves have already happened: China’s Hainan Airlines has moved from T2 to the Tom Bradley International Terminal (TBIT); Copa’s flights still leave from the TBIT, but check-in for flights moved from T6 to T3. And American in January dropped four gates in T6 and picked up four in T5. Allegiant, Frontier and Sun Country (from Terminal 3 to Terminal 5), Boutique Air and Virgin America (from Terminal 3 to Terminal 6), and Virgin Australia (moving from Terminal 3 to TBIT (passengers bused from T2 to TBIT for check in, with flights continuing to depart from TBIT). Additionally, Volaris will move its aircraft from Terminal 2 to TBIT. Check-in will continue at Terminal 2 and passengers will access their flights via post-security bus service to TBIT. Avianca and Interjet (from Terminal 2 to Terminal 3 for check-in, with passengers walking to TBIT to catch their flights) and Spirit (from Terminal 3 to Terminal 5). Air Canada (from Terminal 2 to Terminal 6), Hawaiian (from Terminal 2 to Terminal 5) and JetBlue (from Terminal 3 to Terminal 5). 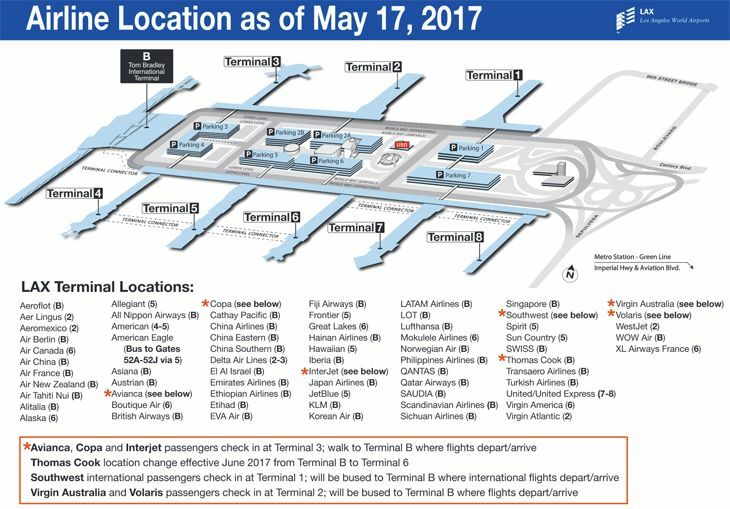 The final change will be XL France, which will move from Terminal 2 to Terminal 6 when it resumes seasonal service June 4. Airport officials note that on some days during the moving period, Delta flights will be operating out of as many as four terminals (2, 3, 5 and 6). Other airlines should be completing their move in just one night, as shown in the above schedule. 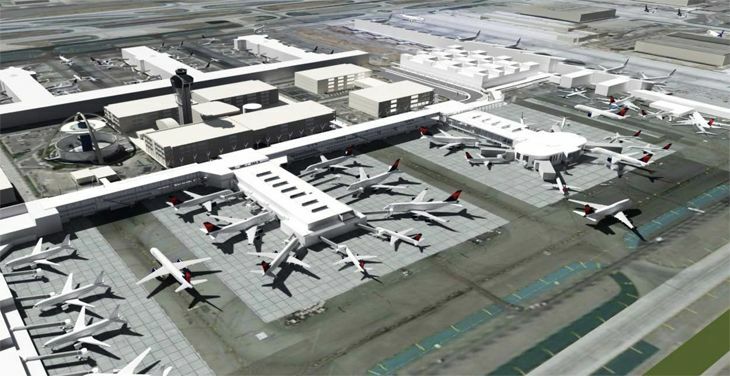 Work on all construction projects in LAX’s central terminal area will be suspended during the moves, officials said, but they are advising travelers to arrive at the airport earlier than normal from May 12 through the end of the month as they get used to the new airline locations. 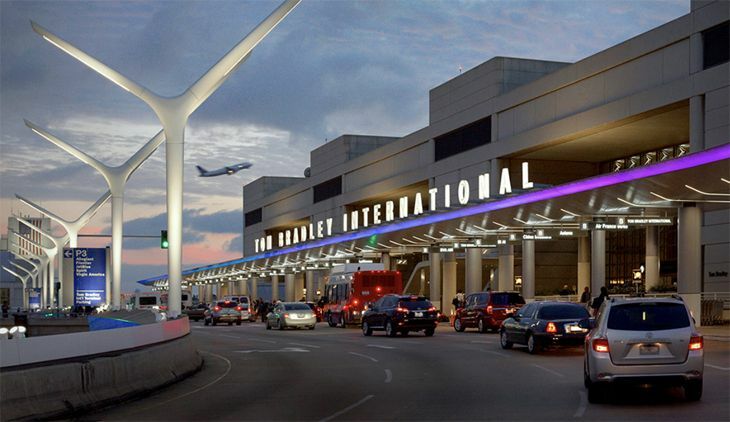 What do you think of all the changes happening at LAX these days? Are you curious, or avoiding it? Please leave your comments below.